So fashion!!! How nice is the suit! I believe that if you have this suit on, you'll look smart and handsome, also dynamic. This dashing gray suit really suits you.It will make you more confident and help you win others' first good impression. 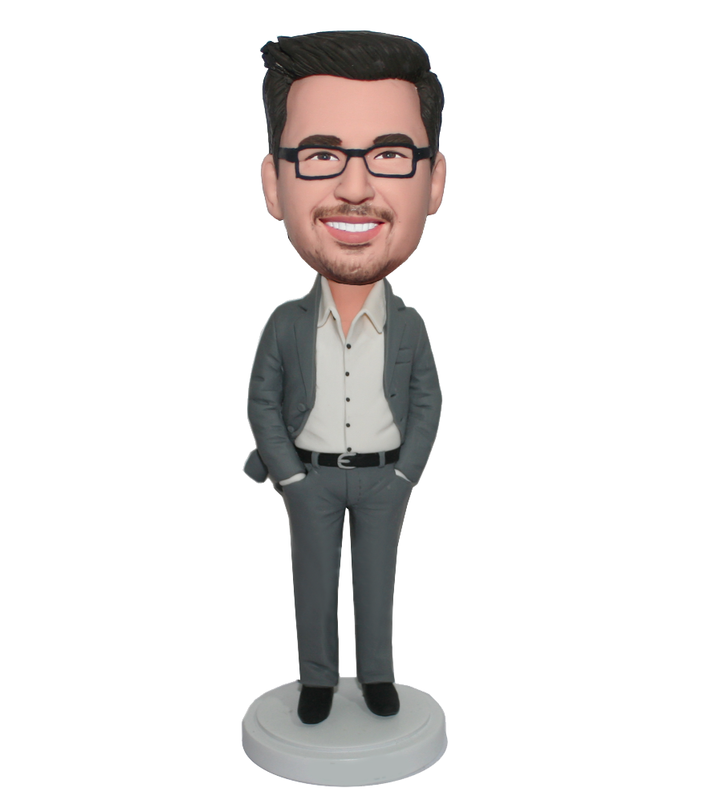 This customized bobblehead will give a young man more confidence and more chances to win others' good impression, thus more chances to succeed. Have this kind of young man whom you wanna encourage? Grant him this custom bobblehead doll! !